Ocean Front Complex Archives | King Rentals, Inc.King Rentals, Inc.
Beautiful direct ocean views from this 5th floor corner unit at Sea Oats. Unit 30 has 3-bedrooms and 2-baths, with a spacious floor-plan opening onto the balcony. This property includes 2 Queen sized beds and 1 Full sized bed. Sea Oats is an oceanfront community with a beach access, private heated pool and hot tub, and more. 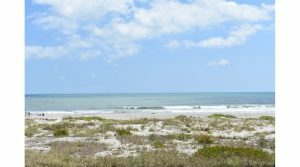 Great location off of Ocean Beach Blvd in Cocoa Beach near the Cocoa Beach Pier and Ron Jon’s, and just a short drive to surrounding Space Coast areas and amenities, Melbourne, Kennedy Space Center, and Orlando. This gorgeous and modern 3 bedroom, 2 bath sits directly on the ocean in heart of Cocoa Beach. Fully furnished with all the amenities of home, this unit has a spacious open floorplan with beautiful ocean views from the living areas and master suite. The large kitchen has a breakfast nook and open into dining and living room with a flat screen TV. The living areas open onto a large balcony with direct ocean views. The master suite has balcony sliders and an on-suite bath with a walk-in shower. There is a 1-car garage in the under-building parking. The complex offers a sparkling community pool, a car wash area, and a private beach access. 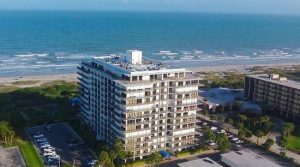 Located just a couple blocks from area of fine shops, dining, and amenities in Downtown Cocoa Beach, and minutes to surrounding Space Coast areas including Port Canaveral, Melbourne, Kennedy Space Center, and Orlando.